The only permanent “cure” for hair loss is hair replacement surgery. Sometimes drug therapy is used in conjunction with surgery, but medications alone will not restore hair to bald areas of the scalp. If drug therapy is the only weapon in your doctor’s arsenal, when drug therapy stops, your hair will begin to fall out again. The FDA has approved just two medications for hair loss: Rogaine and Propecia. Rogaine is a foam or liquid solution, applied twice daily, that slows the hair-loss process and promotes new hair growth in 30 percent of its users. 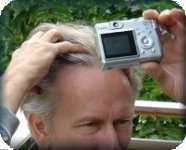 Rogaine is generally prescribed for those who do not respond to Propecia. Propecia — a pill taken daily that offsets the effects of DHT (dihydrotestosterone). DHT is a hormone that destroys hair follicles in persons who possess it in abundance. Propecia has been shown to stop the hair-loss process in 86 percent of the men who use it. Unfortunately, side effects for both medications abound. Propecia tablets are dangerous for women. Broken tablets merely touched by pregnant women were found to cause birth defects in male infants. The drug may cause problems in sexual functioning. The cost of treating hair loss with drugs is astronomical over time, hundreds of dollars a month in most cases, a fact that is particularly discouraging if, after such an investment, treatment must be discontinued. Once the drugs stop, hair loss starts again. By contrast, permanent hair replacement is a happier, healthier, and wealthier solution. Happier because it not only stops hair loss but covers bald spots with natural, permanent hair. Healthier because there are no side effects and you do not need to continue drug therapy for the rest of your life. It is friendlier to the pocketbook as well. In most cases, one or two sessions — generally priced between $2,000 and $6,000 each — will provide you with the long-term, maintenance-free hair replacement you seek. If you or someone you love suffers from hair loss and you select to go the route of hair transplant surgery, make sure you select a doctor with adequate skill and experience, a doctor versed in the latest methods and practices. Outdated procedures don’t yield good results, causing phenomena like unnatural-looking hairlines and “doll-head hair” (unsightly plugs). Doctors who still perform these procedures may call them by various names that make it sound as if they practice the newer methods. Buyer beware: a good hair doctor will be performing surgeries every day. Ask for names of former patients and call those people for references. Insist on seeing the procedure performed before you sign up for it. A reputable hair surgeon will be gracious in granting both requests. If a prospective doctor hesitates on either, keep shopping. Hair replacement surgery can be one of the best things you ever do for yourself. Or it can be a nightmare in the hands of the wrong physician. Do your homework, and be prepared to travel as necessary. The likelihood that a skilled hair transplant surgeon lives down the street from you is very slim. This entry was posted in Baldness, General, Hair Health, Hair Loss, Hair Loss in Women, Hair Problems, Health - General on October 30, 2009 by Larry Shapiro.